Magic Carpet Cleaning in Primrose Hill (NW1, NW3) can guarantee a hassle free service when it comes to cleaning of carpets or mats and keeping area rugs or sofas in good condition. There is no need to look for a reliable carpet cleaning company any more. Just give us a call on 020 8861 0979 now and one of our local carpet cleaners can be at your home in no time. You can be sure your home carpet will be cleaned with the most effective method for top clean results and fresh smell. When you look for quality steam cleaning service in Primrose Hill, choose Magic! What Is Our Secret For Clean Carpets? We can offer a range of additional services such as carpet stain protection with our Scotchgard service. 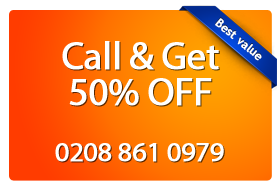 You can give us a call on 020 8861 0979 whenever you need a professional carpet cleaning services in Primrose Hill. We keep our lines open 24/7 and will be quick to respond and book your service. We will provide you with a free price quote as well. Don’t hesitate to contact us today. A clean home carpet needn’t be a dream!